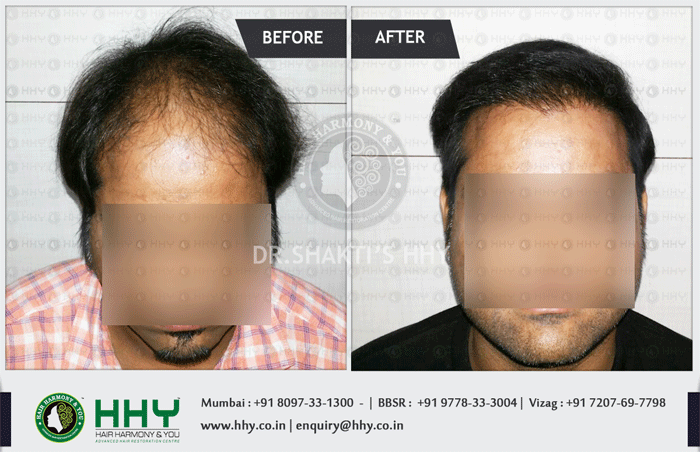 Hair Transplantation can be described as the relocation of Donor Dominant or DHT-Resistant Hair Follicles. The relocation is done from the donor area (frontal region, occipital region or anywhere else from the body) to the affected recipient area or DHT prone area. The groups of hair follicles that are transplanted are known as follicular unit. A single follicular unit may commonly consist of single, double or triple follicles. It is a rarity to see four follicles in the follicular unit. 1. FUT:- involves transplanting follicles in naturally occurring groups of hairs, also known as follicular units. In FUT, hair from the back of the scalp is extracted in the form of a single strip. 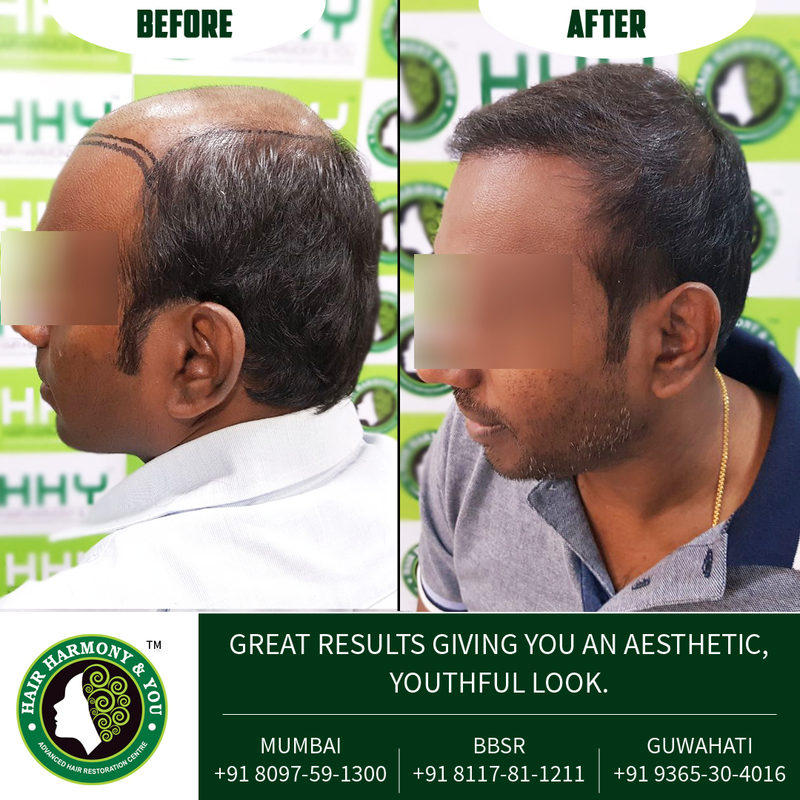 Advanced follicular unit transplantation technique makes the hair transplant look completely natural on the whole i.e. both at the individual follicular unit level and also in the overall graft distribution level. FUT technique makes sure that every graft is identical to the surrounding follicular units in the area. This aids in a natural appearance. 2. FUE:- FUE or Follicular unit extraction (FUE) is also called follicular transfer (FT), is the second technique of hair restoration treatment. In this method, individual follicular units will be extracted from the patient's donor area, one at a time. No strip is removed from the scalp in this method and hence scarring of the scalp is limited when compared to FUT. This is also the reason why many people go for this technique. * In Follicular Unit Transplantation, the traditional hair harvesting procedure involves the usage of a long, thin donor strip that is then later dissected to give rise to individual follicular units with the help of special microscopes. * Follicular Unit Extraction (FUE) uses an alternative harvesting method wherein individual follicular unit grafts are usually removed directly from the sides or/and back of the scalp (donor areas) with the help of a small, punch-like instrument of around 1 mm size. The survival of the extracted follicular units from the scalp is one of the most important factors that decide the success of any hair transplantation. Certain factors like the skill of the surgeon and the operating team and the type of equipment used play a major role in the resultant viability of the grafted follicular units. 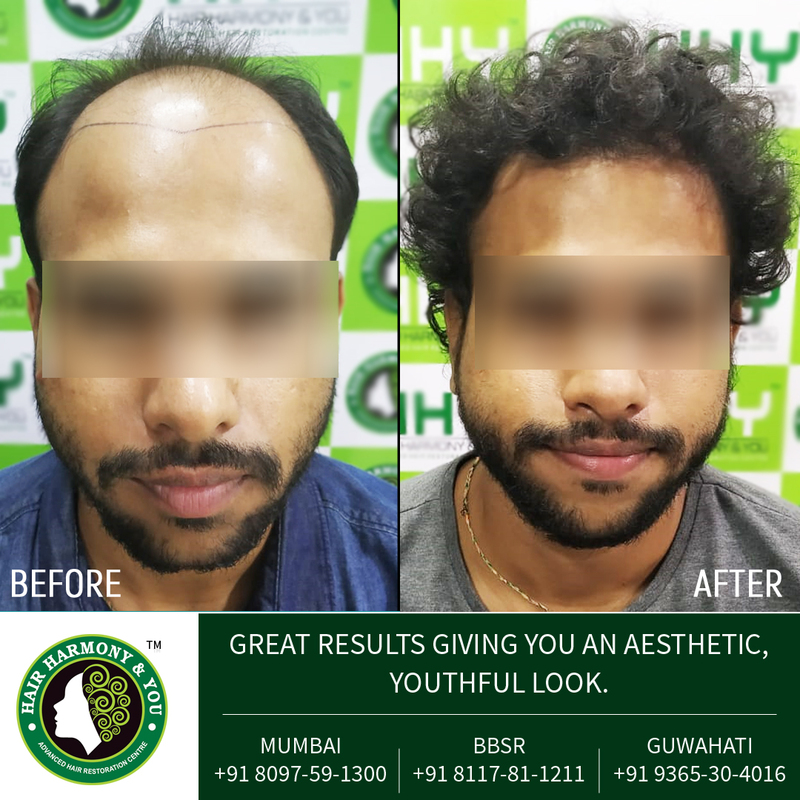 Why Choose HHY for hair loss treatment? Hair transplantation is a tricky procedure. You should always visit the best hair restoration clinic in town. When it comes to hair transplants, you should never compromise on quality. So if you are looking for quality hair loss treatment services, HHY is your answer. Hair loss can be due to multiple reasons like modern life style, stress, dietary habits and tension. These factors contribute towards 40% of the hair fall cases. However, genetic predisposition contributes towards 60% of the hair loss cases. Hair loss affects both the sexes but males fall victim more often. Survey shows that 25% of the men begin to bald by the age of 20. Hence, hair loss is seen to be an increasing issue in modern times. Even though hair loss can be prevented/minimized by certain medications, baldness has no other treatment other than restoring your hair by HT.